Actor Kevin Spacey is facing exponential fallout from the recent sexual misconduct allegations against him. 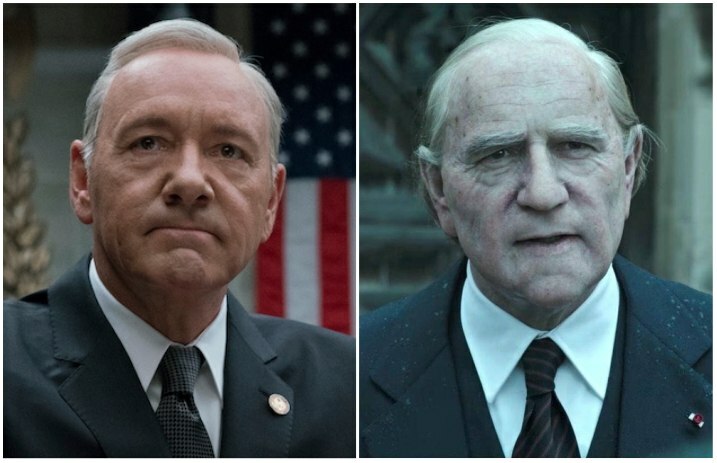 It's now being reported that the House Of Cards lead has been removed from his role in a new Ridley Scott film. Read more: Replace Kevin Spacey with Kevin James on 'House Of Cards'? As revealed by Variety, Sony and Alien director Scott plan to replace Spacey with Christopher Plummer in the upcoming film All The Money In The World. The decision to swap Spacey for Plummer can't be an easy one, as the movie has a release date of Dec. 22 (only six weeks away) and Spacey had already filmed his scenes. You can see the trailer, released in September—in which Spacey portrays famous industrialist Jean Paul Getty—below. Last month, it was revealed that Netflix suspended production on House Of Cards after Spacey was accused of sexual harassment. As further allegations of predatory behavior by the actor and HOC producer came to light, the entertainment company cut ties with the Spacey and announced that his character will be written out of the show's sixth and final season. Spacey's undoing began on Oct. 29, when Star Trek: Discovery actor Anthony Rapp accused the performer of making sexual advances toward him in 1986, when Rapp was just 14. The shocking story, published by BuzzFeed, sparked a succession of allegations against Spacey, including eight House Of Cards staffers' accusations of the actor's purported sexual misconduct, as covered by The Atlantic. The Hollywood star's downfall is being cited as the latest example of the “Weinstein effect,” so-named for the abundance of sexual assault allegations against disgraced movie producer Harvey Weinstein. Christopher Plummer is expected to shoot his stand-in scenes for All The Money In The World over the next few weeks, in order for the film to make its impending release date. Co-stars Mark Wahlberg and Michelle Williams will reportedly be involved in the reshoots to replace Spacey with Plummer.